Avendus Capital advises SVG Media on its acquisition by Dentsu Aegis Network. 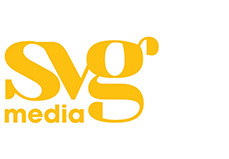 London-headquartered media agency Dentsu Aegis Network has acquired Gurgaon-based SVG Media Pvt Ltd from Smile Group. Avendus Capital was the exclusive financial advisor to SVG Media on this transaction. SVG Media operates several businesses, including mobile and digital advertising, in-app video platform and data targeting through its units—Tyroo, DGM, Seventynine and Komli. Founded in 2006, SVG Media employs around 280 professionals in four cities—Gurgaon, Mumbai, Chennai and Bangalore. It offers diverse digital media competencies including online performance marketing, mobile app distribution, representations, social and web services through its brands. The group has one of the largest client bases in Indian digital media sector with over 700 monthly active advertiser campaigns locally, as well as international clients in Dubai, Indonesia and China. As part of the deal, Dentsu will acquire DGM, Seventynine and Komli brands, while Smile Group will retain Tyroo. SVG Media will become part of Dentsu’s Asia Pacific digital marketing agency Columbus, and will be renamed as SVG Columbus. Harish Bahl and Manish Vij of Smile Group will exit as chairman and CEO, respectively, of SVG Media. This acquisition marks a second successful digital advertising business exit for entrepreneurs Manish Vij and Harish Bahl, whose earlier venture Quasar was acquired by WPP in 2008. Smile is Asia’s leading internet group. It has executed successful partnerships with AirBnB, Scan Group Africa, Yahoo, WPP Digital, Ogilvy-neo, comScore and built other leading internet businesses. Its interests are across digital media, eCommerce, services and Internet investments. SVG Media includes the flagship brands DGM, Komli and Seventynine, and has over 150+ Million Unique Visitors in India, making it by far the largest digital ad network in India. The company also has one of the largest client bases in the Indian digital media sector with over 700 monthly active advertiser campaigns locally, as well as international clients. Dentsu Aegis Network, a part of Dentsu Inc, provides marketing and communications strategies through digital creative execution, media planning and buying, mobile applications, SEO, content creation, brand tracking and marketing analytics. The firm is headquartered in London and operates in 110 countries worldwide with over 23,000 specialists. The Avendus Group (Avendus) is a leading provider of financial services with an emphasis on customized solutions in the areas of Financial Advisory, Wealth Management, Structured Credit Solutions and Alternative Assets Management. Avendus relies on its extensive experience, in-depth domain understanding and knowledge of the regulatory environment, to offer customized solutions that enable clients to meet their strategic aspirations. Avendus Capital has consistently been ranked among the leading financial advisors by overall number of deals. In CY2016, the firm was amongst the top two financial advisors by overall number of private equity deals in India (as per VCCEdge). It has a strong track record of cross-border transactions and has helped multiple clients benefit from opportunities across geographies. Avendus’s wide range of clients is testimony to its ability to serve its corporate clients throughout their life cycle – from growth stage funding to complex, large sized transactions later in the cycle.